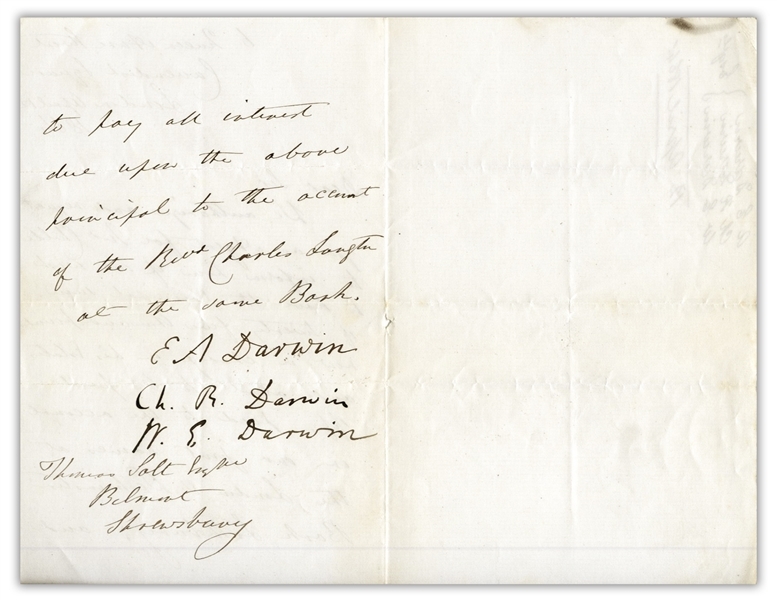 Charles Darwin letter signed from 1864, the year Darwin won the prestigious Copley Medal. 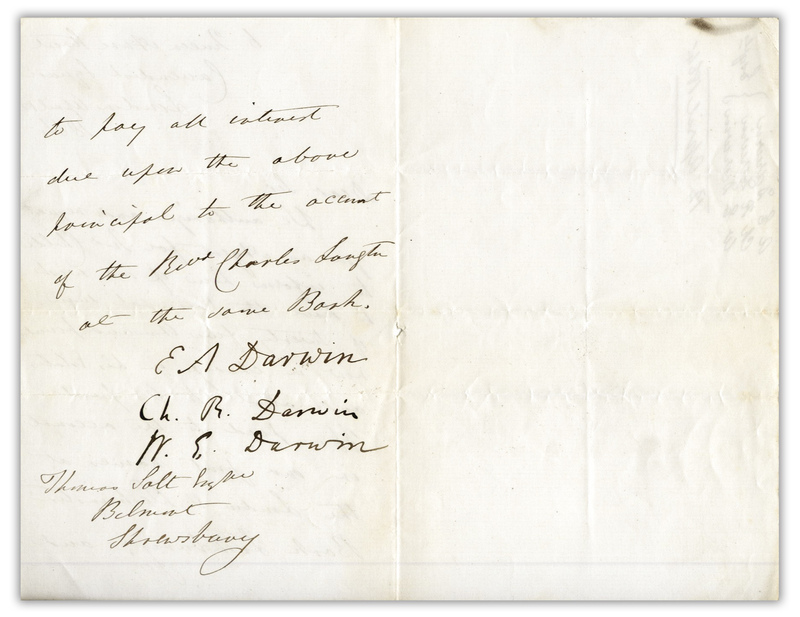 Penned to the Darwin family lawyer Thomas Salt regarding the disbursement of funds among the family, letter is signed ''Ch. R. Darwin'', as well as by Darwin's older brother Erasmus Alvey Darwin and likely Darwin's son, William Erasmus Darwin. 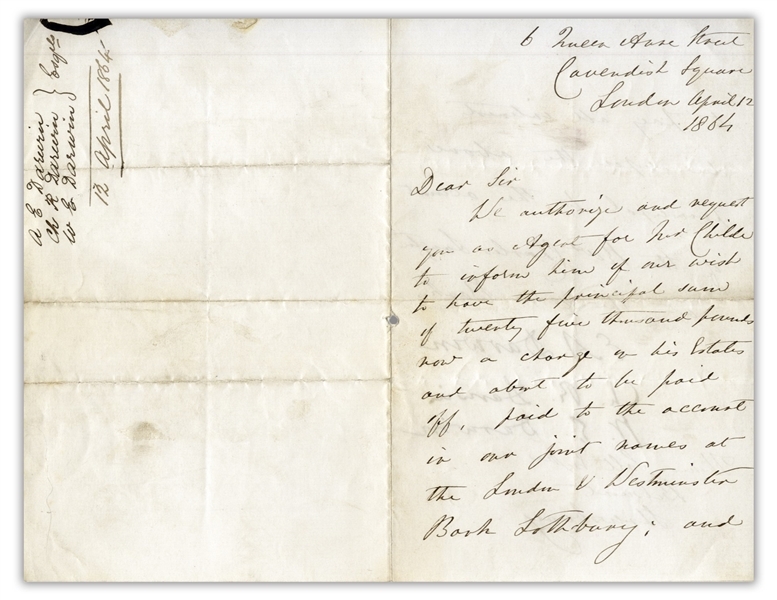 Datelined 12 April 1864 from 6 Queen Anne Street, Cavendish Square in London, letter reads in full, ''Dear Sir / We authorize and request you as Agent for Mr. Childe to inform him of our wish to have the principal sum of twenty five thousand pounds now a charge on his Estates and about to be paid off, paid to the account in our joint names at the London & Westminster Bank Lothbury; and to pay all interest due upon the above principal to the account of the Revd Charles Langton at the same Bank. / E A Darwin / Ch. R. Darwin / W. E. Darwin''. 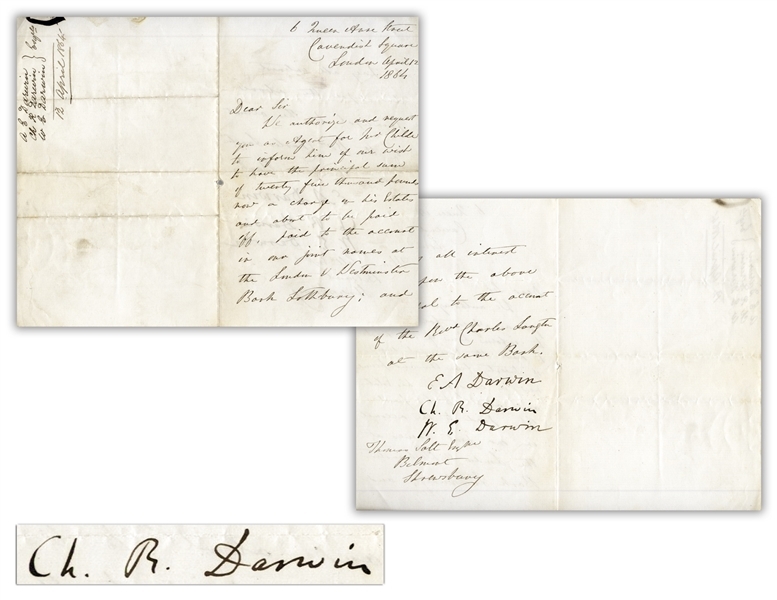 Two page letter on card-style bifolium stationery measures 9'' x 7'' unfolded. Small hole at center and light creasing; very good plus condition.